The City’s Chipper Program provides residents a free, convenient way to dispose of small tree limbs twice a year. Again this year, tree-limb pickup will take place over a three-week period — by ward. If you are unsure about which ward you live in, please visit bit.ly/wardmap2019. The tree limb pickup does NOT correspond to residents’ trash, recycling and yard-waste collection day. 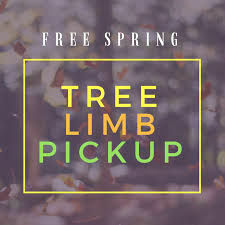 To take advantage of this free program, residents must have their tree limbs stacked at the curb by 6 a.m. on MONDAY of the week their area is scheduled for the Chipper Program. Tree limbs must be less than eight inches in diameter and should not be bundled or placed in bags. The 2019 Chipper Program collection does not include leaves, root balls, shrubs or hedge trimmings, decorative grasses, or grass. Questions? Please call the Public Works Department at (636) 327-5102, Monday through Friday between 8 a.m. and 5 p.m.
As warm weather approaches, it’s time once again to focus on our community’s property maintenance standards. Please remember to cut your lawn, maintain attractive curb appeal, clean out your gutters, and generally help maintain the healthy, safe and stable community we all desire. Few things have more potential to enhance the quality of life for everyone in our community than neighborhood pride. The City works with property owners and neighborhoods to address nuisance properties and housing violations, which helps to protect property values and makes your neighborhood more pleasant and welcoming for residents and visitors alike. Maintaining your property helps ensure that your family lives in a clean, safe environment and contributes to neighborhood revitalization. For most people, their homes are their single largest investment. To help protect Wentzville homeowners’ investments and ensure property values remain stable, the City conducts annual property maintenance inspections. Between April and September, all structures in the City of Wentzville will be inspected, with inspections beginning April 1. If City inspectors find a property that needs attention, a notice will be mailed to the property owner. This notice allows a reasonable amount of time for completion of the repair. If you have a specific concern regarding a property maintenance issue, please enter a concern at bit.ly/reportaconcern or call (636) 639-2121. Inspectors will verify the concern within 72 hours and respond back upon your request. Concerns may be filed anonymously as well. By remaining attentive to ensure all Wentzville properties are suitably maintained, we can all work together to continue to make Wentzville a desirable place to live and work.